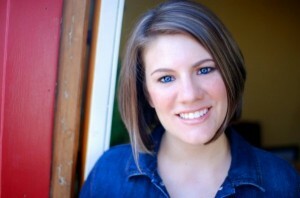 Rachel Held Evans Asks What is Biblical Womanhood? 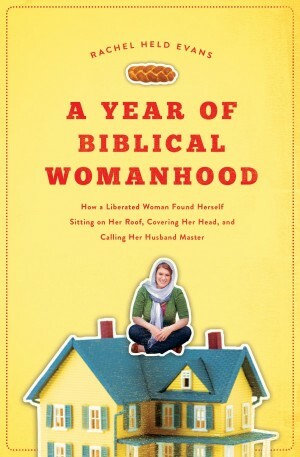 Home » Ethics» Rachel Held Evans Asks What is Biblical Womanhood? Rachel Held Evans grew up in the Bible Belt. Raised as a conservative evangelical in Dayton Tennessee, the now author and prominent blogger wasn’t supposed to question her faith. But she did. Rachel explains that in a fundamentalist worldview, if you doubt one doctrine, the entire picture quickly crumbles. Rachel’s hometown is best known for the Scopes trial where John T Scopes was prosecuted for teaching evolution in public schools back in the 1930s. It wasn’t the easiest of contexts to doubt young earth creationism, but Rachel has nothing but love for her friends and family there. But what of Rachel’s views on hell today? Her answer has clear similarities with Rob Bell’s – another prominent evangelical to question traditional views. Another issue that Rachel has wrestled with is the topic of women in the church. Her latest book 'A Year of Biblical Womanhood' is the result of a year-long commitment to following the Bible’s instructions to women as literally as possible. There’s plenty of funny stories throughout the book as Rachel practices everything from cooking to silence, all the while making the point that everyone is selective in which sections of the Bible’s instructions to women that they follow. The hot topic of women leadership has had implications for Rachel from an early age. Frustrated with teaching that tells women they can't be pastors but should stay at home and pursue motherhood, Rachel questions the phrase ‘Biblical Womanhood’. Is Rachel arguing that the Bible is never prescriptive on this topic? “We have to filter scripture through the lens of Jesus Christ,” she replies. Rachel says she wants to “challenge” people’s notions of Biblical womanhood. “I’m also hoping it will be entertaining, funny and interesting to people,” she adds. It’s difficult to find anything Rachel has written that doesn’t fall into at least one of those categories. Her blog regularly nails all three adjectives. Whether or not you agree with her theology, her style has won the author support from across the denominational spectrum, and rightly so. Utilizing humour in the best possible way, Rachel continues to use her writing gift to impress, challenge and reassure her reader. Thanks very much for this interview, Sam. My first thought when I saw the blurb was - oh no, another book telling me what a Christian woman is supposed to look like. But I'm presently surprised. Thank you. I think I'll be putting this in my letter to Santa this year. I think the same could be said of biblical masculinity (the eldest of Israel slept with his step-mum, his two brothers committed genocide, and the other seven sold their younger brother into the slave trade). I not sure the problem is a gender issue but how we interpret scripture. As if anyone of us could know for sure what happens after death... Eh? Luke 16:22-28?? Jesus seemed pretty sure, was He being arrogant??? This creation of grey areas around topics that the Word is black and white about is the reason I no longer read this woman's blog - she has the same attitude towards homosexuality/lesbianism. Test the spirit. :-) I see Fiona 'believes in' Santa? Seriuolsy, found this article very interesting, as a non-Bible belt woma,n , as it demonstrates the struggles of those who are. I knew lots of them when we lived in grad student appartments - many who struggled to financially put their hubby through college - hum, a woman can supporther man, but not be a preacher/pastor? I've just been offered your book as an 'extra' (specially reduced price) after my order was processed, and accepted the challenge, so I shall be reading the book soon.